Bathroom Remodeling by M.V. Pelletier, Frederick MD — M.V. Pelletier Inc. Many clients come to us once their baths are over 12 years old. Over the years, lighting methods have improved, the fans that remove the moisture have increased their air flow and water proofing methods in the showers have changed. 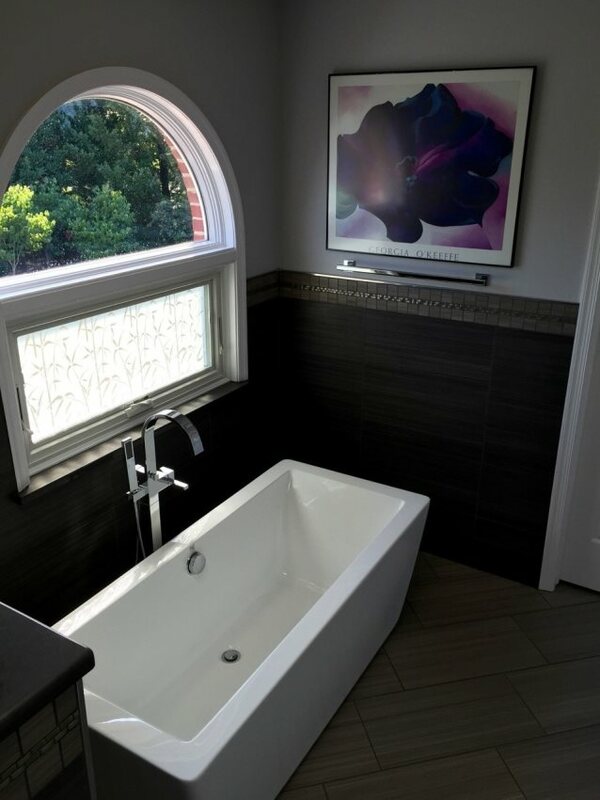 We see many clients choose to remove the hardly-used platform tubs to increase the shower size and be able to get to the windows that are behind the tub. Freestanding tubs are very popular, with or without programable air jets. Fixtures in showers can be remote-controlled, and programmable floor heating systems have come down in price and are very popular. Increased lighting, wider doorways and low thresholds are incorporated into our designs so homeowners can age-in-place, making sure their new bathrooms not only beautiful but safe as well! We will meet with you and prepare a proposal for your bathroom remodeling in Frederick MD and surrounding areas, at no charge. Be sure to check out our bathroom remodeling gallery. Give us a call to discuss any remodeling projects in and around Frederick MD, you may have in the future!